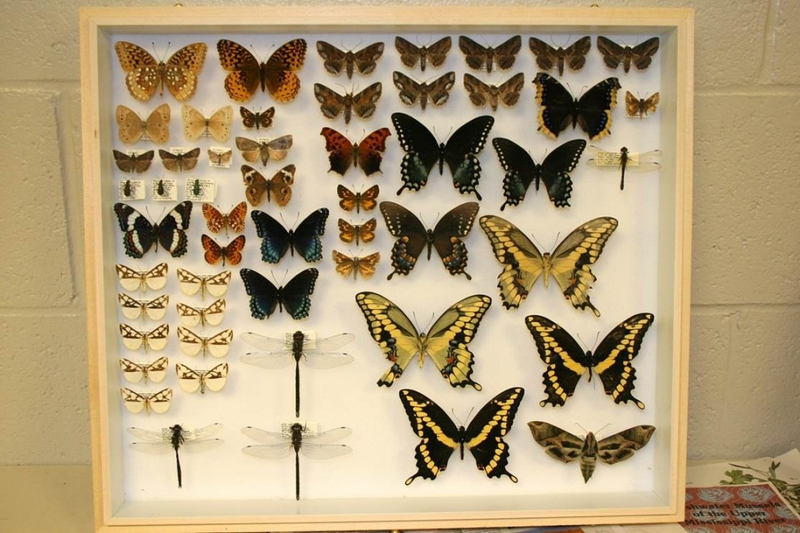 The Natural History Museum at the Tom Ridge Environmental Center contains nearly 9,000 collection objects from northwestern Pennsylvania, with a special emphasis on the flora and fauna of Presque Isle and Erie Bluffs State Parks. A collection object is defined as all of the individual specimens collected at a locality on one date by a single collector. Eighty one new collection objects, including 34 new species were added to the Museum's collections in 2017, including several that document the occurrence of rare and endangered species, as well as additions to the teaching collections that are used for educational programs for the general public and classes for students from grade school through college. Field surveys of beetles and spiders at Erie Bluffs, moths and butterflies at Presque Isle and fishes in Cussewago Creek in Crawford County continued. The Museum also continued to coordinate the Pennsylvania Amphibian and Reptile Survey for northwestern Pennsylvania and served as a source of data on the region's natural diversity for state agencies, academia, and conservation organizations. 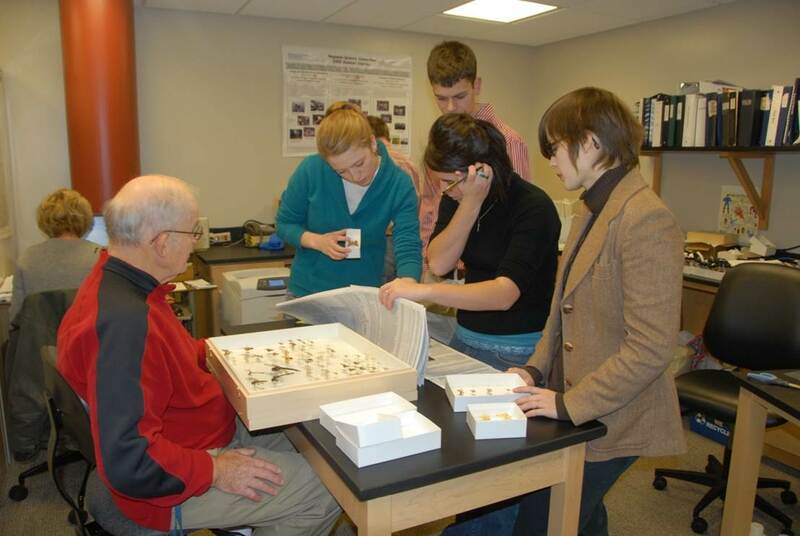 The Museum produced educational materials for loan, and participated in science and conservation-oriented events at the TREC, including the Festival of the Birds, National Pollinator Week, and the Regional Science Symposium. 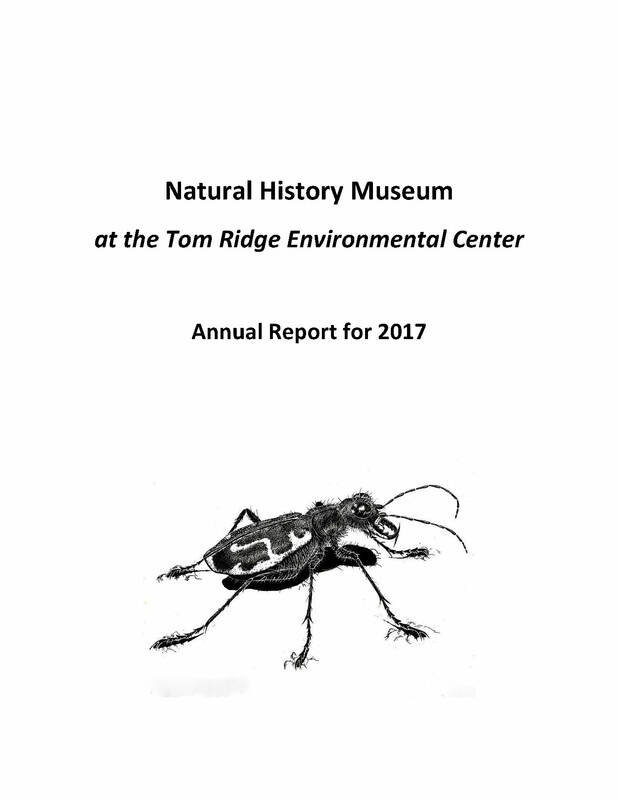 Download the 2017 Annual Report for a full listing of items. 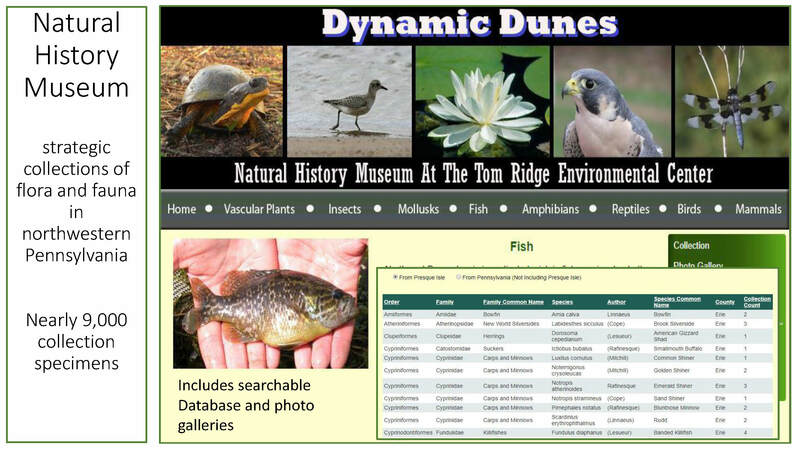 Visit the Museum website "Dynamic Dunes"